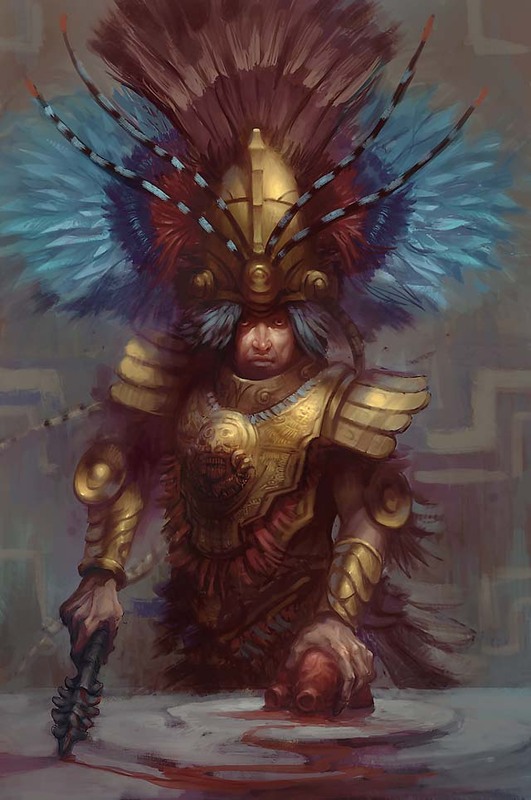 The Burnt World of Athas - 30 Days of Dark Sun 10: Who is your favorite sorcerer-king? The 10th day of #30DaysofDarkSun is here and the question is "Who is your favorite sorcerer-king?". Robert Schwalb,designer for 4th edition Dark Sun and creator of Shadow of the Demon Lord, had this to say, "Tectuktitlay. Hes pretty weak compared to the others and he has the distinction of being the dude who murdered all the wemics, an achievement that makes me chuckle." I agree with Robert Schwalb, Tectuktitlay, he had a cool bit of history with his city, but he didn't see much use. It annoyed me that he killed the wemics, since I thought they would have made a perfect race for Athas. Here's a great story about the fall of the wemics.